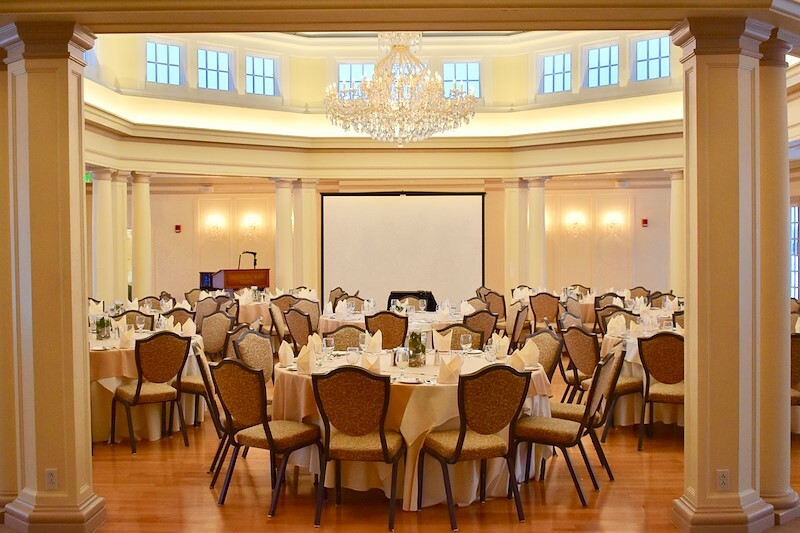 We offer elegant and historical meeting and event rooms easily transformed into exactly what you need to host a magical gala, high-profile board meeting, successful conference, corporate retreat, or intimate gathering. When you begin planning your next gathering, you can choose from more than 20,000 square feet of indoor and outdoor event space. 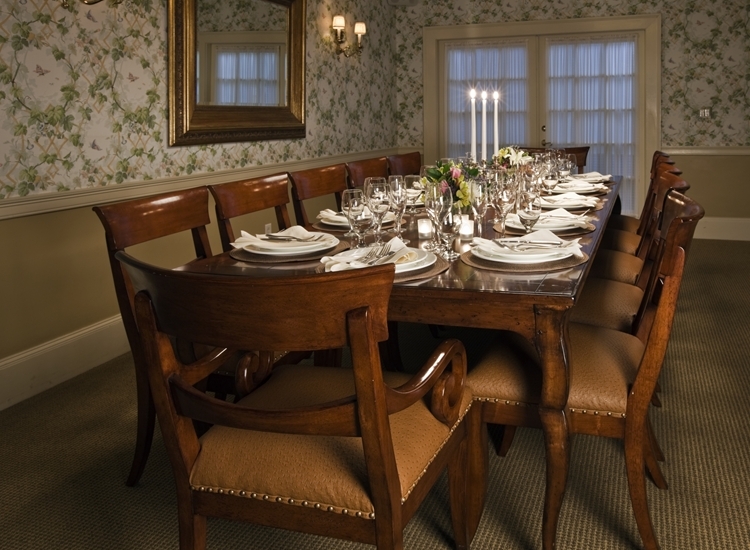 Additionally, we offer a variety of intimate spaces for dining and breakout meetings. 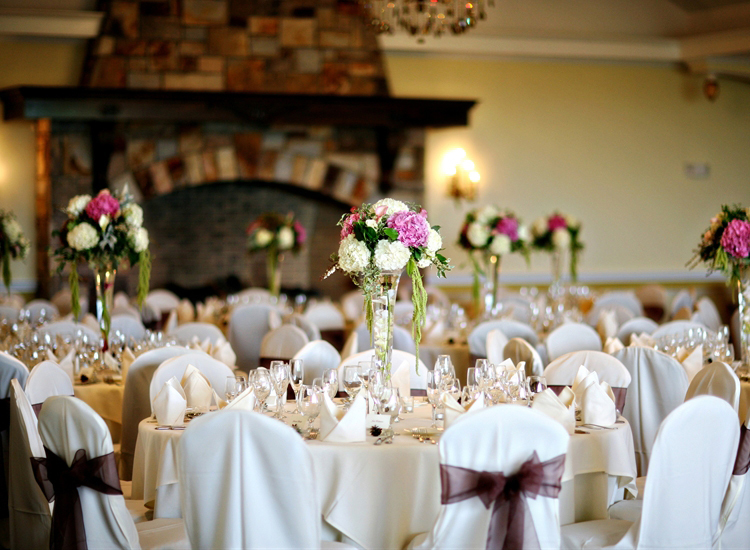 Professional planners and flawless event service ensure a perfect affair from concept to completion. 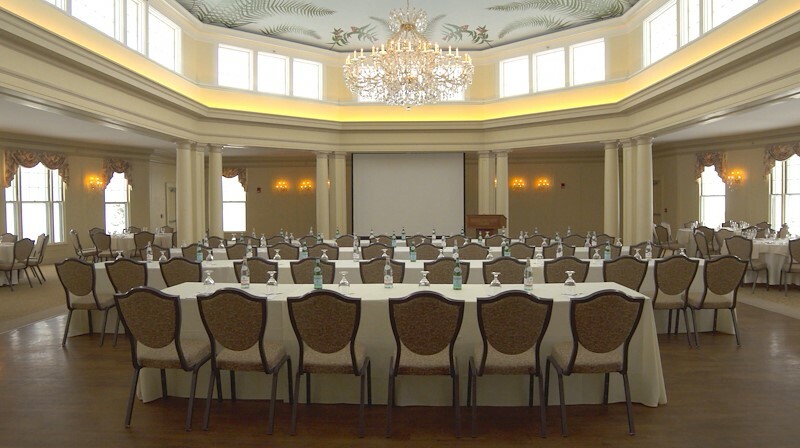 Marvelously restored to its original classic design, our Crystal Ballroom offers one of the most unique and elegant meeting venues in New England. 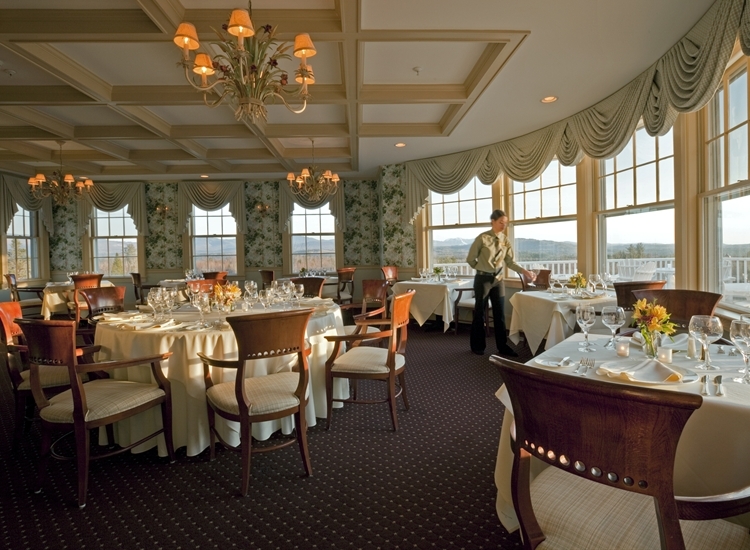 Capped by a spectacular crystal chandelier suspended from a hand-painted interior dome, the room boasts nearly 360-degree picture windows providing corporate clientele with ever changing mountain views. 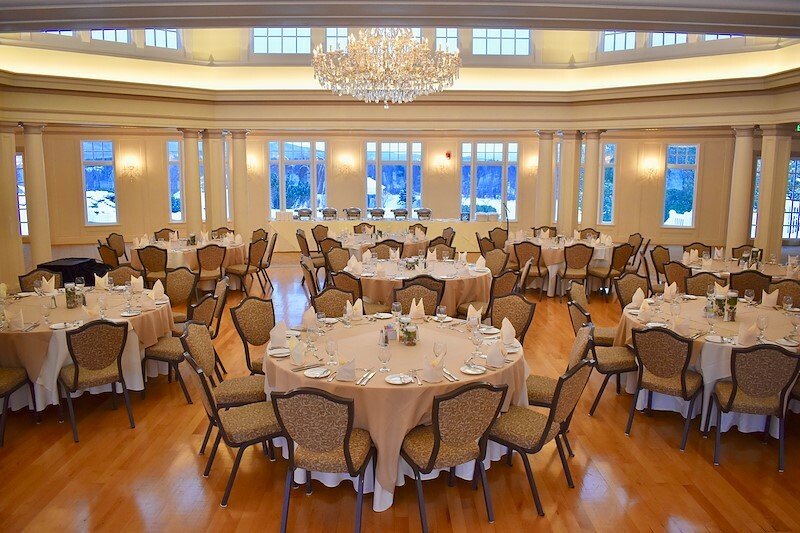 The Crystal Ballroom is also the largest venue on property making it the ideal location for large groups or functions. Size: 6,268 square feet | Dimensions: 120 x 68 ft. | Height: 20 ft.
New in 2018, the Grand View Tent is a truly unique meeting space that will be the talk of your event. 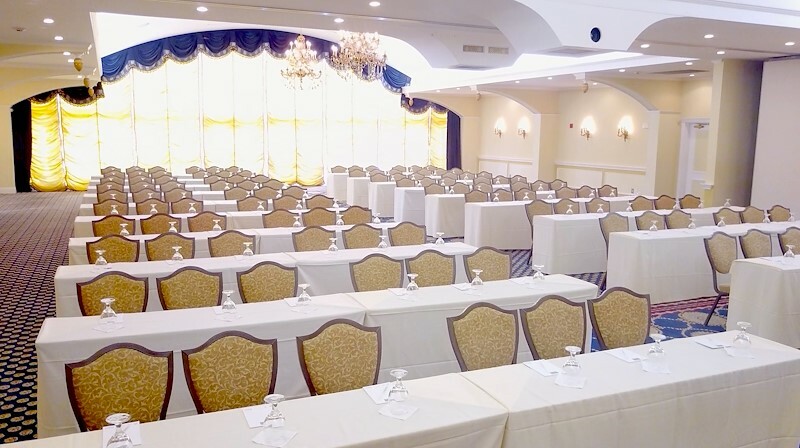 Located right behind our Crystal Ballroom, and frequently booked together, this venue space is perfect for receptions, as a dining venue, vendor space and more. The tent is available seasonally, spring through fall. Size: 3,501 square feet | Dimensions: 46 x 85 ft. | Perimeter: 184 ft. 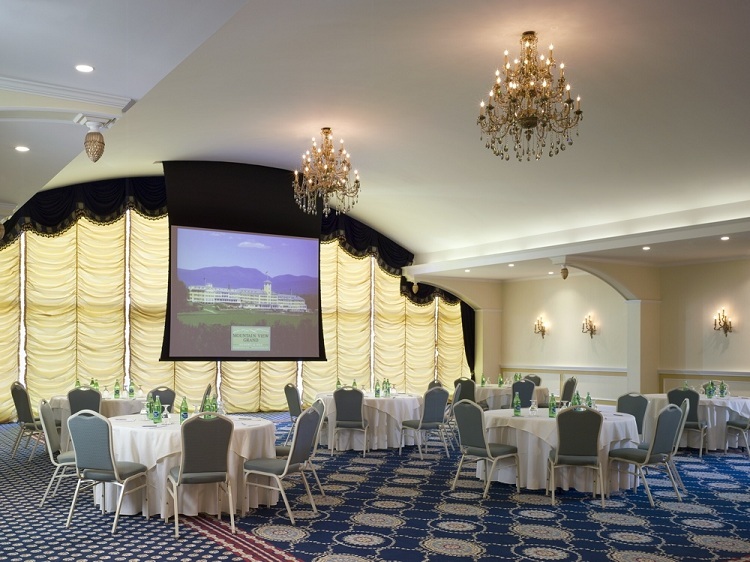 Beautifully renovated and elegantly decorated, the Presidential Hall is perfect for corporate meetings and events. 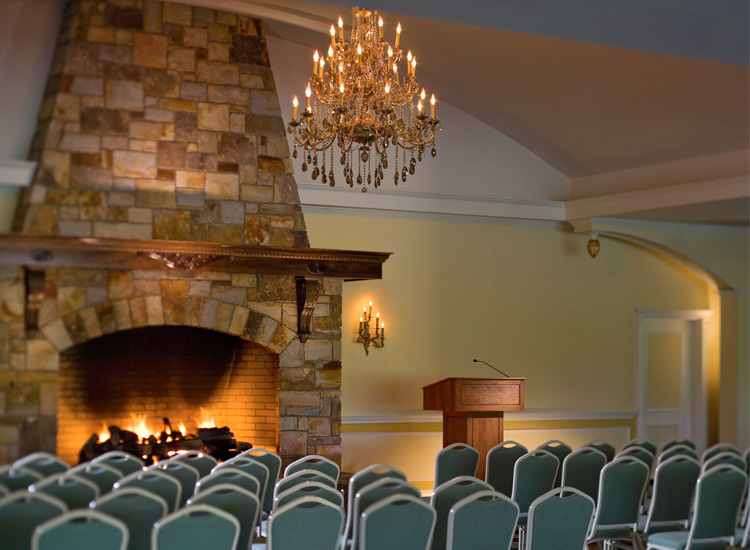 This is a modern, spacious 3,876 square-foot meeting facility featuring 14-foot vaulted ceilings, advanced audio visual choices, a grand fireplace and floor-to-ceiling windows that open to picturesque mountaintop views. 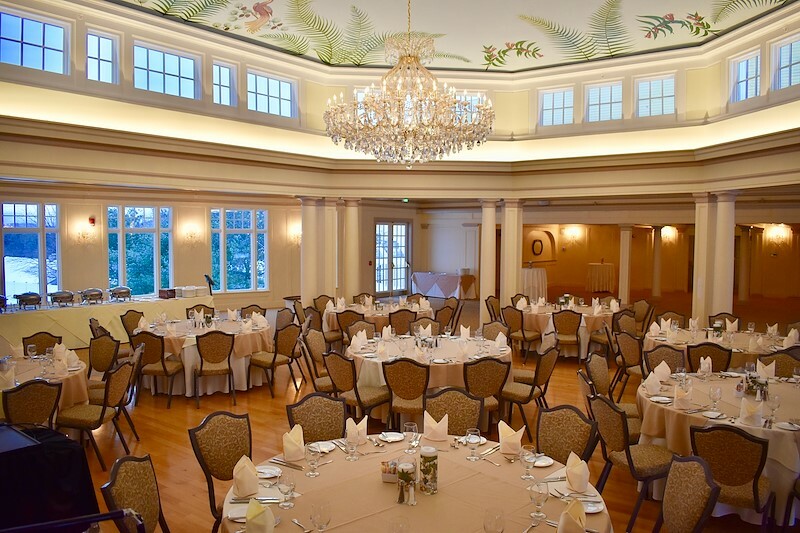 The Presidential Ballroom can be divided into the Harding and Roosevelt Rooms. 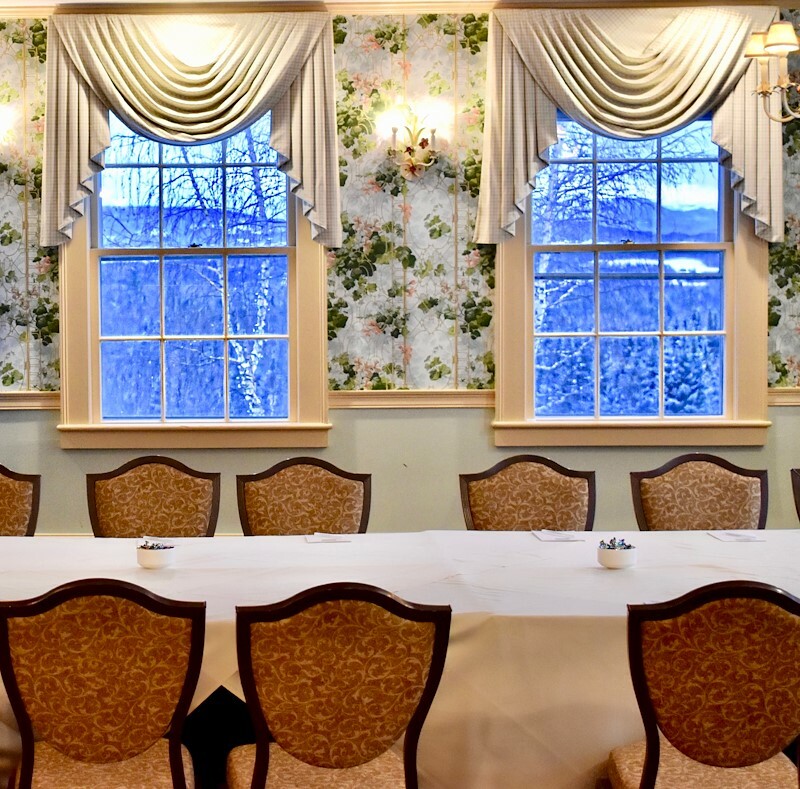 The Coolidge Room and Cleveland Room are also located in the Presidential Hall and are ideal for smaller, intimate meetings. Size: 3,967 square feet | Dimensions: 78 x 51 ft. | Height: 24.5 ft. The Coolidge Room is also located in Presidential Hall and is perfect for smaller, intimate meetings. This space is also equipped with a drop down 3,500-lumen Sanyo Projector, integrated speaker system, and all the comforts of your corporate office with a rustic feel. 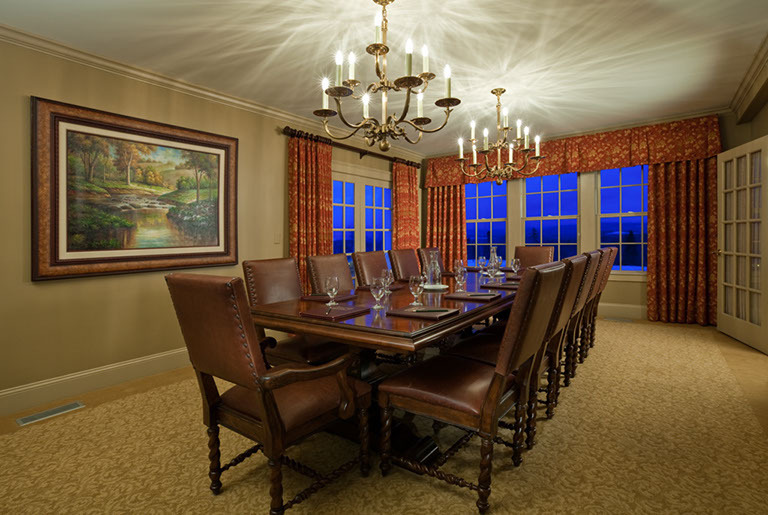 After you meeting, breakout into the Presidential Foyer for coffee while taking in our mountain vistas. Size: 456 square feet | Dimensions: 23 x 20 ft. | Height: 11 ft. 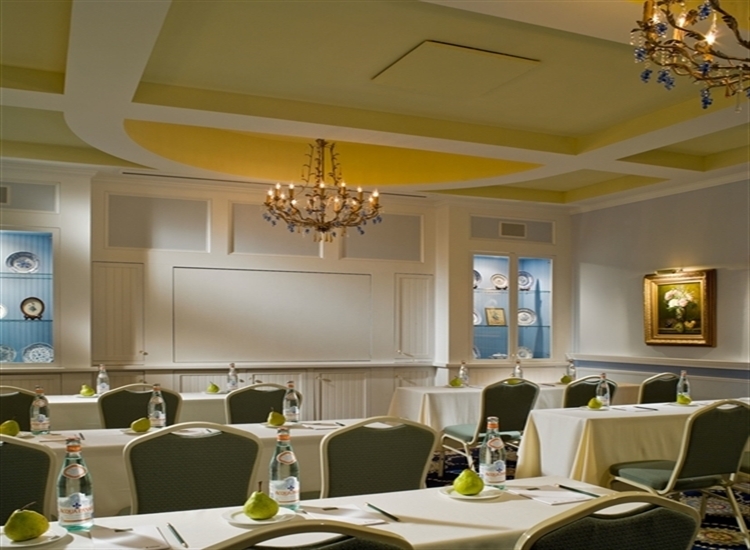 The Cleveland Room is also located in Presidential Hall and is perfect for smaller, intimate meetings. This space is also equipped with a drop down 3,500-lumen Sanyo Projector, integrated speaker system, and all the comforts of your corporate office with a rustic feel. 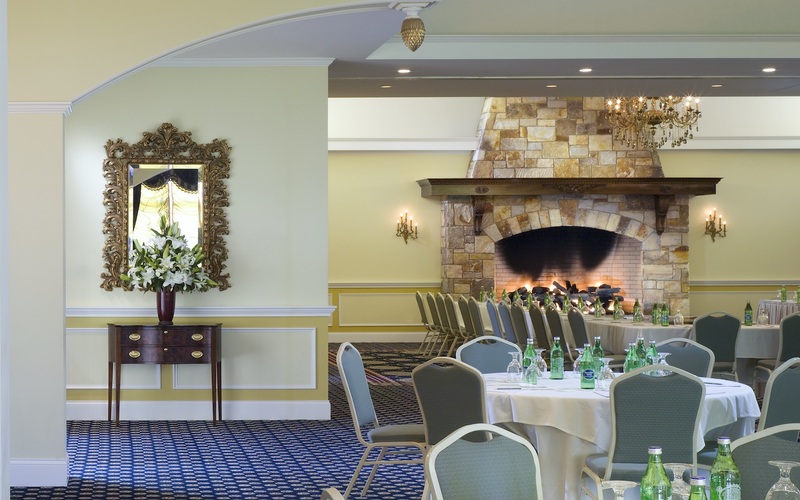 After your meeting, breakout into the Presidential Foyer for coffee while taking in our mountain vistas. 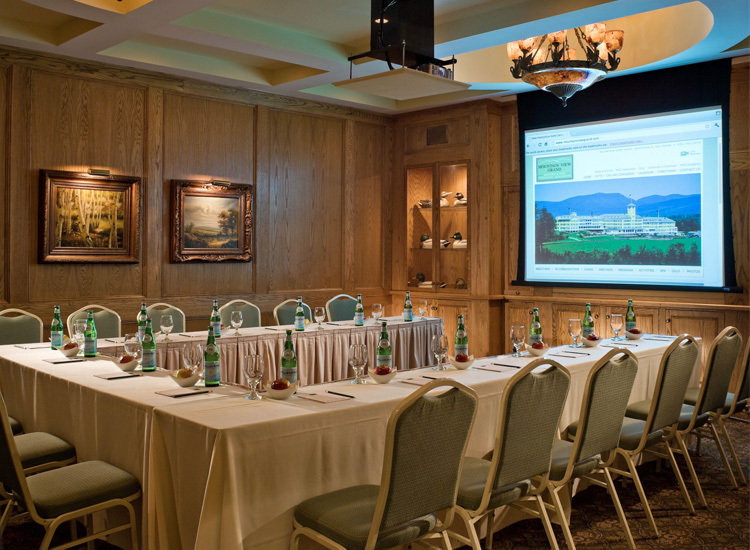 Size: 451 square feet | Dimensions: 23 x 20 ft. | Height: 11 ft.
For those truly critical, face-to-face meetings, Mountain View Grand Resort & Spa offers the elegantly appointed Eisenhower Boardroom. 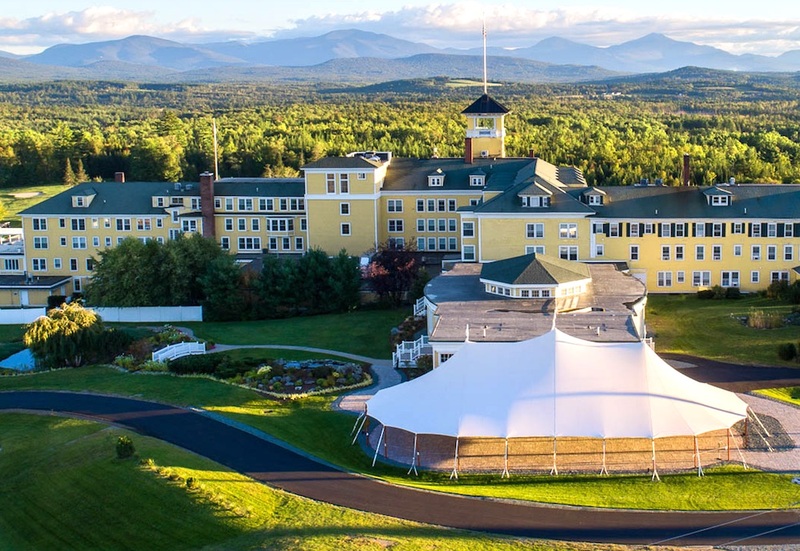 The room features a built-in flat panel television, Wireless Internet Access and spectacular four-season views of Mount Washington and the Presidential Range with a 12 person room capacity. Size: 308 square feet | Dimensions: 22 x 14 ft. | Height: 8.5 ft. 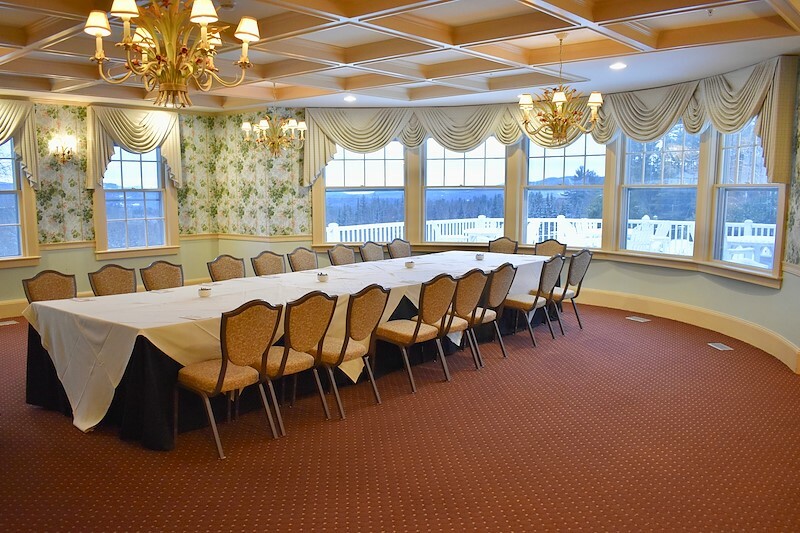 The Garden Room is located in the main hotel and is perfect for smaller, intimate meetings. The Garden Room features a walkout deck that overlooks waterfalls and Koi pond. When the weather is nice, this is the perfect spot to take an event outdoors. Size: 945 square feet | Dimensions: 30 x 31 ft. | Height: 9 ft. 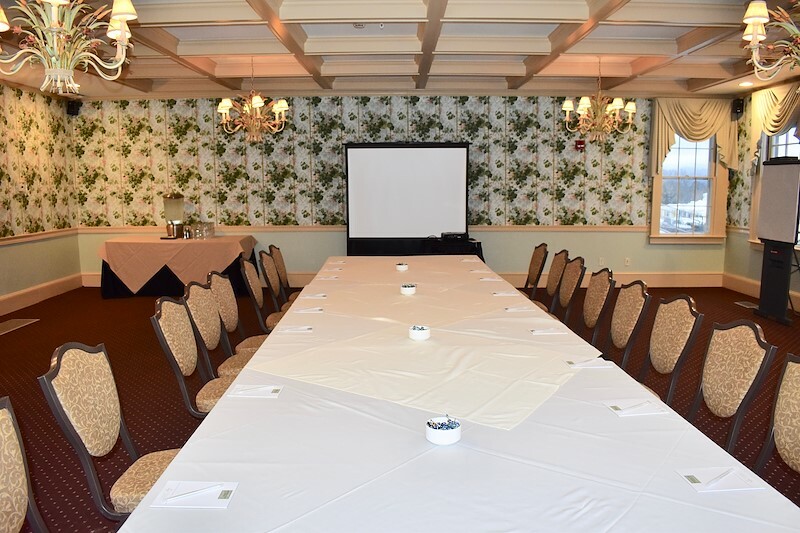 The Hunt Room is located in the main hotel and is perfect for smaller, intimate meetings. Due to its location and atmosphere, the venue is often used for receptions, coffee breaks, and company meals. Size: 396 square feet | Dimensions: 22 x 18 ft. | Height: 9 ft. 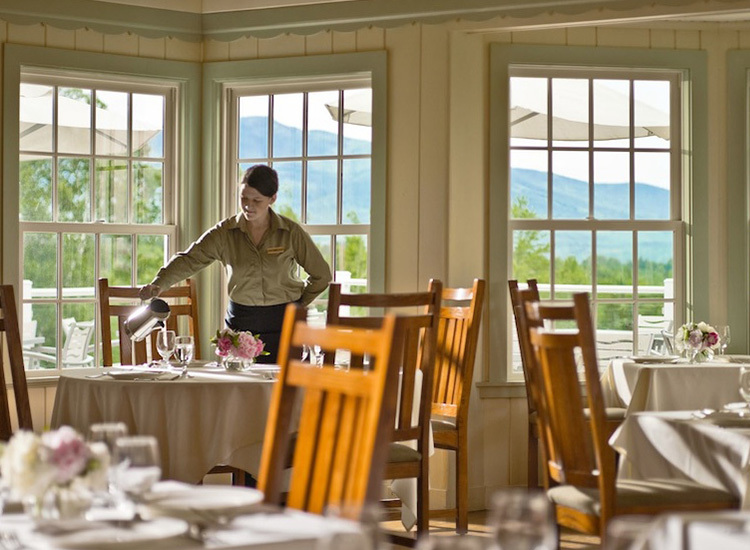 Whether by day or under the sparkling stars of the northern sky, the casual Club House—with never ending views of the White Mountains as your backdrop—creates stunning photo opportunities and cherished memories for your wedding reception. The Club House features the counterpoint of a cozy wood stove and an expansive outside deck for warmer months. You and your guests can relax inside or out and enjoy the sweeping views over the golf course toward the mountains beyond. The Club House is located across the street from the main hotel. Size: 722 square feet | Dimensions: 22 x 33 ft. | Height: 8.5 ft.